I have not made fudge in years but decided to make it for an upcoming potluck. Since it is just me, it is rare for me to cook or bake anything special except for family reunions and Christmas. For family reunions, it is taco salad dip and for Christmas cherry cheesecake tarts. No more chocolate chip cookies, lasagna, or anything else that takes a lot of time. I just throw chicken or ingredients to make the Rotel cheese dip in the crockpot and that is the extent of my cooking. So last night was quite the adventure. Stirring the syrup in with the chocolate chips and marshmallow creme was very tiring. Once I got done, I had to step outside in the snow to cool down because boy did I work up a sweat. I make a double batch, and it calls for a 9×13 pan, which I discovered none exist in my kitchen anymore. Where my 2 pans went I do not know. So I got out my 8×8 pans and filled 5 of them with the fudge. 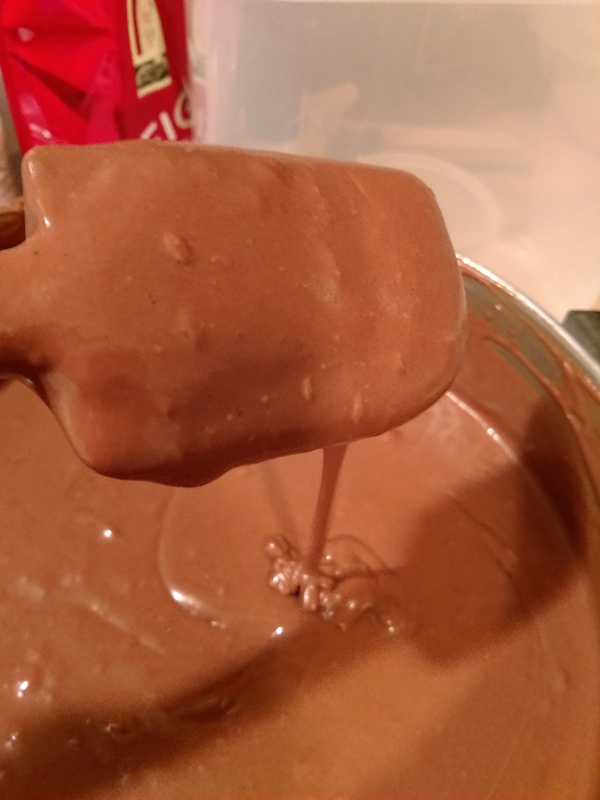 Below are pictures of the different stages of making Mamie Eisenhower’s Million Dollar Fudge. I skipped the nuts because this is a public event and I do not know who has nut allergies.